There is no way we should even remotely think about going several days without internet, let alone weeks! But we also want to travel to remote locations and see the world, so what’s a traveler to do? The below infographic details out ways in which one can road trip and remain connected to the web, get the full scoop below. Curious what causes wrinkles? Those pesky little lines that make it apparent we’re no longer in our 20s. The below infographic details out some common causes to these sings of aging as well as some ways in which to avoid these common causes. Nothing is more important than caring for your family, especially your children. The below infographic details out some key ways in which you can make them feel special to ensure they feel loved and confident. There’s certainly a bit of advice in there for how to treat all people as well. Ayurvedic products can take care of skin and body with no harm. Check out the below infographic for details of products that are most commonly used. 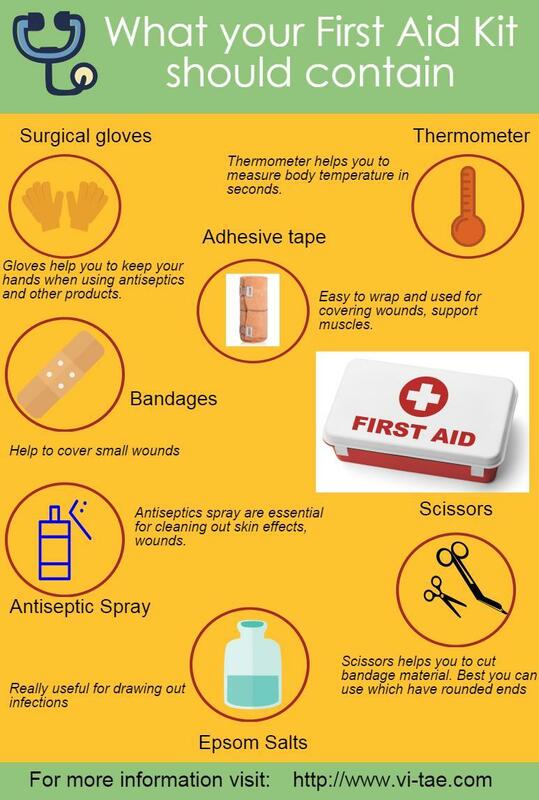 First aid kits can be required any time. So what should it contain? The below infographic from vi-tae.com has listed out all the essentials required that should be in stock.